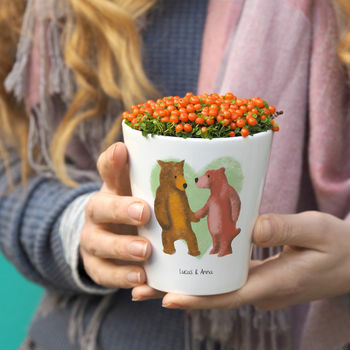 Let them know you love them beary much with our beautifully illustrated pot that can be personalised. 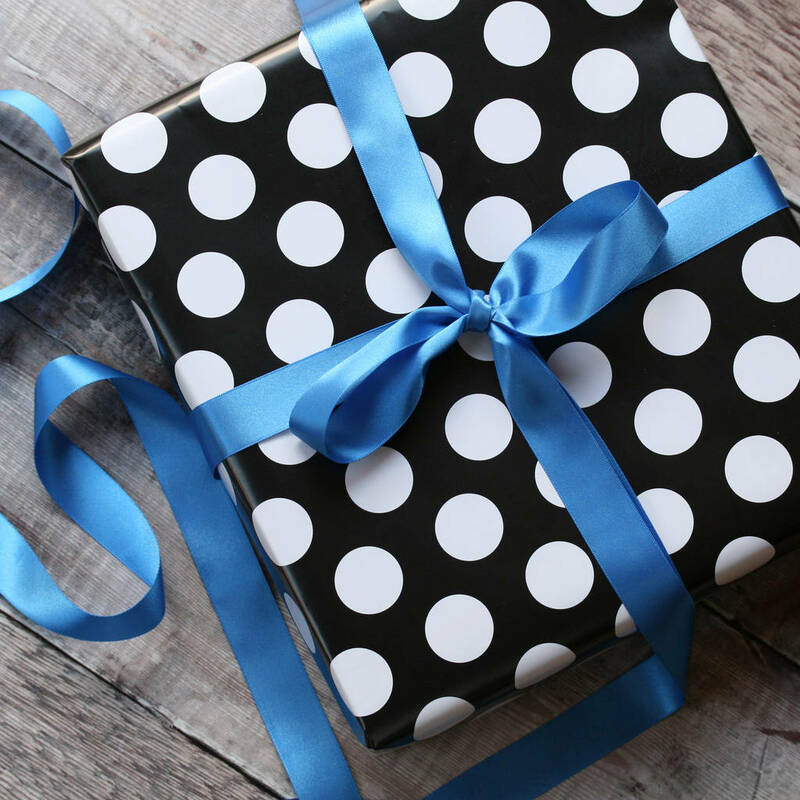 It's an ideal anniversary gift, just simply personalise with your names or a special message to appear below the cute bears. This personalised planter would make a lovely personalised gift for a special couple, or a fun addition to your home. This plant pot also makes a great gift for family or friends - as a new home gift, wedding gift or anniversary gift for a favourite couple, or for a birthday gift for a loved one. 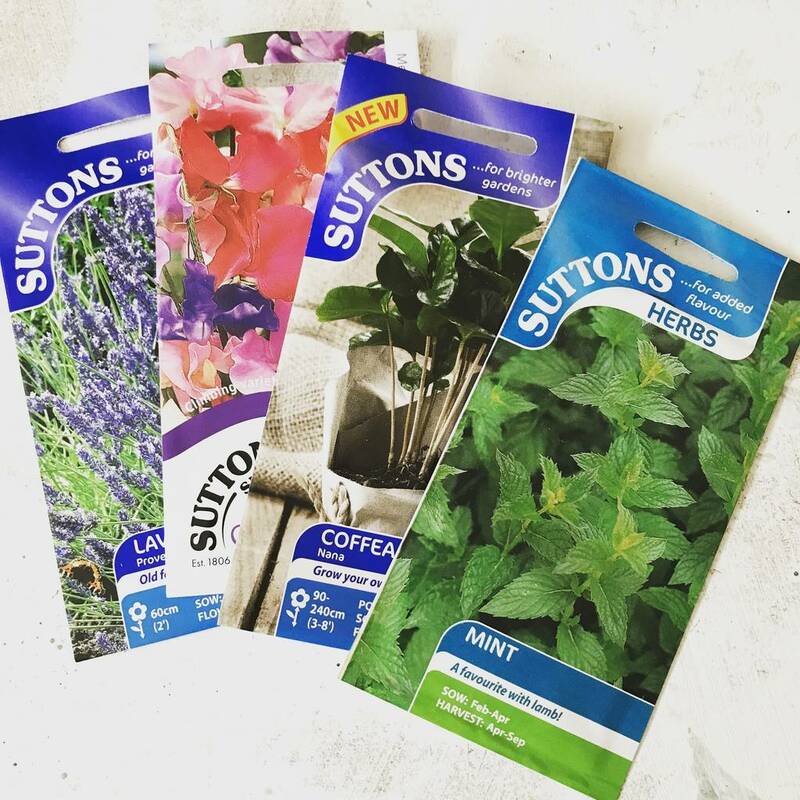 We also provide an option to add high quality Sutton seeds - Our grow your own gifts just keep on giving! This listing is for the pot only and / or seed option, and does not include the plant pictured. COPYRIGHT : Designed, printed and packed in the UK by claire close studio. Love these bears? Find them on a cushion, print, card and mug too in our SO CLOSE Storefront. Our pots are printed in our studio in Devon, and posted in a box for safe delivery. 100% ceramic, microwave and dishwasher safe but we do recommend hand washing. This product is dispatched to you by So Close.